(Moncks Corner, S.C.) – 9/2/2018 – The Berkeley County Sheriff’s Office was recently awarded the Target Zero grant from the South Carolina Department of Public Safety. The grant provides funding for 2 deputies that will be assigned to the agency’s traffic unit for a set period of time. Deputies assigned to the grant are tasked with reducing traffic fatalities in the county through enforcement, check points and educational presentations. The Target Zero grant also provides agency’s with additional funding for specific “Target Zero” vehicles that must prominently feature SCLEN identifiers. These typically include the SCLEN logo and “Target Zero” lettering displayed towards the rear of the cruisers. One of the major stipulations of the grant is that cruisers and equipment purchased must be American made. This limits vehicle selection to the Ford Utility, Ford Interceptor Sedan and Chevrolet Tahoe. 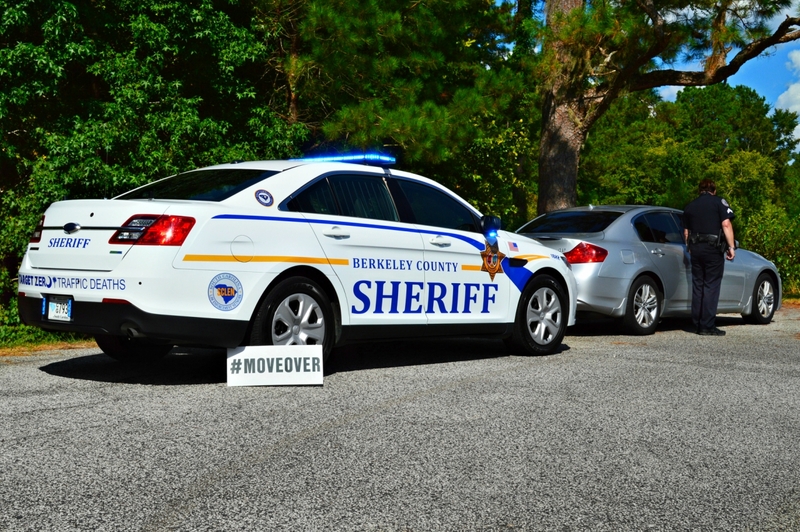 The Berkeley County Sheriff’s Office recently shifted to Ford in their latest fleet acquisition and opted for the AWD Ford Interceptor PPV. These particular cruisers feature a full dual color lighting package upfit by RCC in Goose Creek, South Carolina.